Disney’s Marvel superhero mashup “The Age of Ultron” opens Friday in more than 4,200 theaters in the U.S.
“Avengers: The Age of Ultron” has powered to $255 million in its first week at the international box office and is pacing ahead of the original at a similar stage, Disney reported Thursday. The Marvel superhero mashup, a sequel to the 2012 blockbuster “The Avengers,” makes its North American debut in more than 4,200 theaters on Friday. It rolls out in Mexico, Spain, and several additional foreign markets on Thursday. “Avengers: The Age of Ultron” exploded for a massive $201 million in its first weekend of release overseas, exceeding the original film’s first weekend take by 44 percent and breaking records along the way. “Age of Ultron” was No. 1 in all 44 territories in which it rolled out, roughly 55 percent of its eventual international run. South Korea was the leading market with $28 million, followed by the U.K. with $27million. The IMAX returns set a record for the largest non-China international opening of all-time with $10.4 million, an eye-popping $60,000 per-screen average. Tracking has “Age of Ultron” debuting at between $190 million and $200 million in the U.S., and analysts say it could do even better. 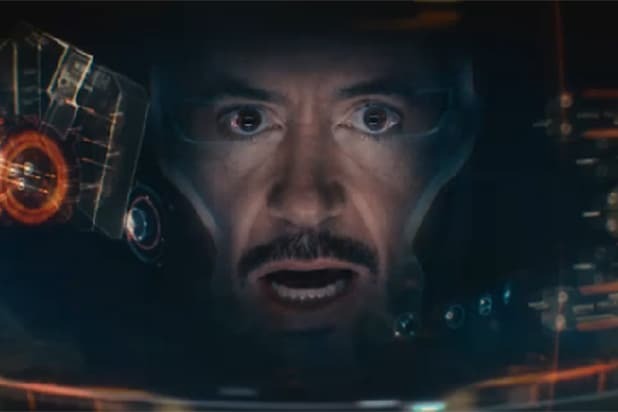 The first “Avengers” movie holds the record for the biggest opening weekend ever with $207 million in 2012. Joss Whedon returns as writer and director for “Age of Ultron,” as does the ensemble cast topped by Robert Downey Jr. (Iron Man), Chris Hemsworth (Thor), Mark Ruffalo (the Hulk), Chris Evans (Captain America), Scarlett Johansson (Black Widow) and Jeremy Renner (Hawkeye). Aaron Taylor-Johnson and Elizabeth Olsen join the cast as Quicksilver and the Scarlet Witch.